We are looking for enthusiastic people to join our staff. We are accepting applications for Cooks and Cashiers. You will be creating "WOW" pizza our customers love! Evening, week day and week end day shifts are available! Apply online by clicking here. We are looking for outgoing, friendly people to deliver delicious food to our customers. We are accepting applications for delivery drivers. 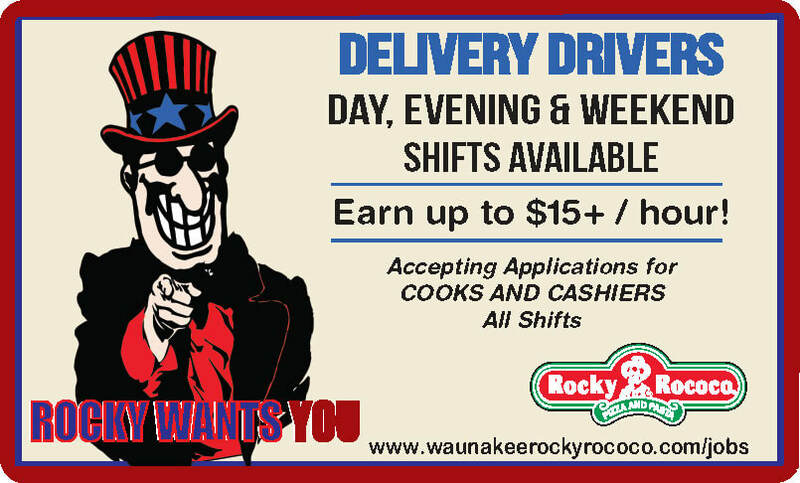 Earn $12 - 15/hour or more delivering delicious Rocky's pizza and pasta. This is a great part-time gig if you like a fast-paced, fun environment. Apply online by clicking here.